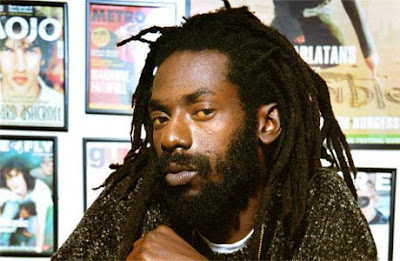 When reggae artist Buju Banton booked a show at the Highlands club in Hollywood in 2006, protests from the L.A. gay and lesbian community were louder than the music. Banton, the popular Jamaican dance-hall singer, has drawn the ire of gay activist groups for years, in large part because of the violently homophobic lyrics of his 1992 single “Boom Bye Bye,” which proposes pouring acid on homosexuals and shooting them in the head. Local black and gay advocacy groups successfully protested Banton’s show, leading to its cancellation at Highlands, though it was eventually re-booked at the Century Club. This October, however, Banton is again booked to play a high-profile concert, at Club Nokia in downtown L.A. Some of the same activist groups are working to get Banton’s show canceled. Banton has attempted to distance himself from the lyrics of “Boom Bye Bye” in recent years, and now presents himself as a more spiritual and Rasta-centric songwriter. To some reggae fans, pressure to prevent Banton from playing amounts to censorship, while gay activist groups see Banton’s songs as hate speech, an example of an ugly undercurrent of homophobia in some reggae music. We are aware of the concerns that were brought to our attention this week with regards to Buju Banton’s October appearance. We are reaching out to the artist, artist management and the L.A. Gay and Lesbian Center to satisfactorily resolve the issues that have been presented. In more recent shows, Banton has performed parts of “Boom Bye Bye,” but claimed to use it as a starting point for a conversation about the controversy surrounding it. In a complicating twist, he was tried and acquitted on charges that he participated in the beating of six gay men by a gang in Jamaica in 2004. It’s yet unclear what steps AEG will take to address the concerns surrounding the show. But for Soule, Banton himself is one voice conspicuously missing from the conversation. I mean enough is enough if you’re really tired of the persecution Buju Banton from the Gay community, well the ones ignorant to Jamaican Culture and Dancehall/Reggae Music please join this group and lobby as hard for our music and artists just as they seem to want to go hard against Ja.